Battleborn is the ultimate ‘jack of all trades, master of none’ game. It’s quite impressive to see just how much Gearbox have jammed into this title: twenty-five unique characters, a story mode and, most importantly, they’ve managed to cram several MOBA elements into a first-person shooter. And yet, even with all these features, there isn’t a single aspect of Battleborn that a player can point out and say “that is perfect”. Let’s be clear, that isn’t necessarily a knock against the game, if anything it shows how innovative Gearbox are willing to be in order to create something new. 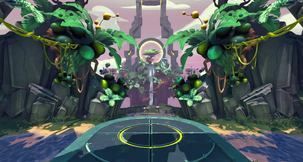 The problems in Battleborn become far more apparent when you compare it to a game that does everything perfectly. For the sake of this argument, let’s choose Team Fortress 2: a team-based shooter featuring only nine classes and only three game modes spanning across six maps. When Team Fortress 2 launched back in October 2007, there weren’t many people complaining about the number of maps or game-modes – the main thing people wanted to talk about was how great the game was. Team Fortress 2 didn’t need a story mode or any of the extra things Battleborn has, because everything in the game was practically perfect (with the exception of TC_Hydro, of course). Unlike a lot of critics, I don’t think Battleborn suffers from a lack of content. Just like Team Fortress 2, Battleborn also has three game modes spanning across six maps along with a story featuring eight chapters. Valve, along with many other developers, have proven that you can create a game with ‘only’ six maps and have it be a smash hit. Battleborn suffers from a lack of quality across all areas of the game. 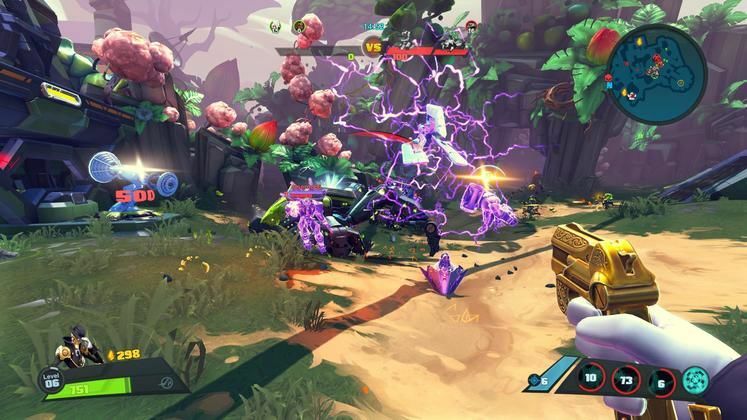 Battleborn’s main focus is on the three competitive multiplayer modes. While the game does feature a campaign, it is incredibly dull no matter how you play it. 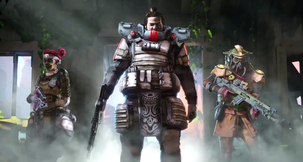 Players have the option of going through the campaign with up to four friends, or even just alone. The game scales down the number of enemies on the map, making it a fair challenge with any number of people. If you are expecting to go through the campaign with strangers on the internet, then I’d like to wish you luck. 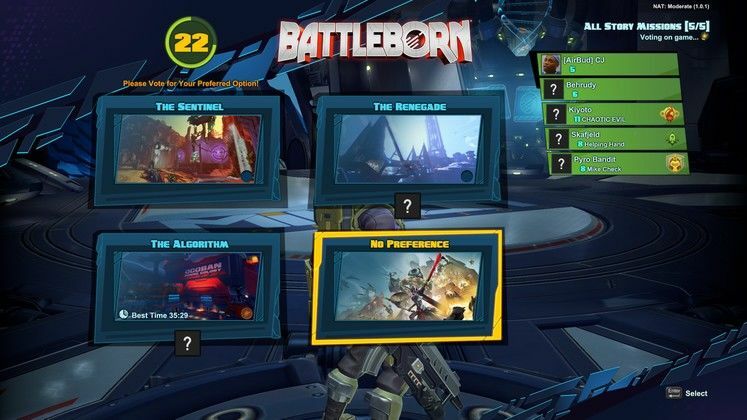 Battleborn does not allow players to go through the campaign in sequential order unless everyone happens to vote for the chapter you need to play. Most of the missions in Battleborn have you doing the same things over and over again. With the exception of the boss fights and the environments, expect to see more of the same objectives, including ‘protect this capture point’ and ‘defeat these enemies to progress’ objectives. 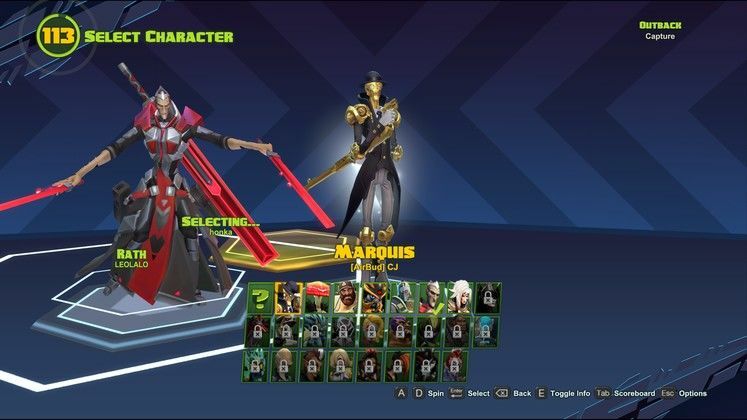 If it wasn’t for Battleborn holding back the majority of the roster behind the missions, I would tell people to avoid the campaign completely. Technically, players can unlock the characters in Battleborn by playing the online mode only, but it’s much faster just to play through the story. Oh, and if you die mid-way through a story chapter? Have fun playing the whole thing all over again. This is especially annoying when you die on a boss, meaning you’ll have to play through at least another half an hour of the same chapter to get back to that point. The most confusing addition of Battleborn is the loot system. 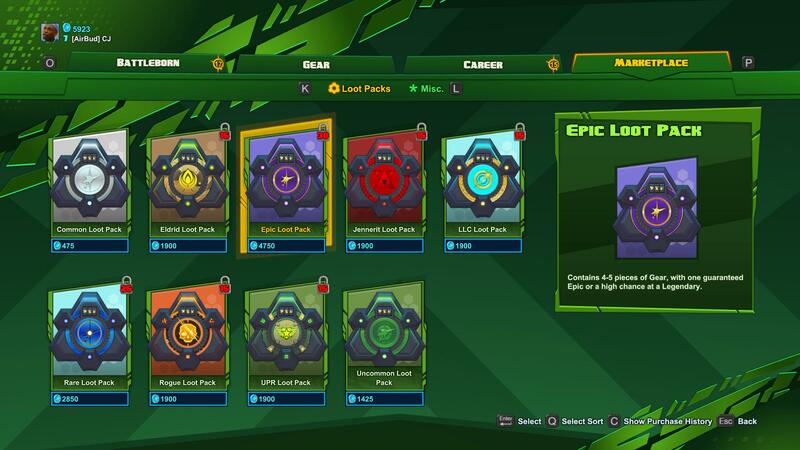 Battleborn features a loot system that allows players to open packs containing either gear or skins for characters. The problem isn’t with the skins, it’s with the randomised gear. All the gear in the game needs to be activated with the shards found during a game, but because the gear is randomised, some items are much better than others. I don’t understand why a competitive game like this features random loot/gear with varying stats and powers. Why should a random number generator affect the way one team plays versus another? Players should not be able to activate an item that suddenly makes your character significantly better than the same character on the opposing team. This takes some of the skill out of the game, knowing someone could be better than you strictly because their items are legendary and yours aren’t. Gearbox have tried to balance the system by giving the better gear in the game higher shard requirements, but some pieces of gear are so good that most players wouldn’t think twice about spending the shards to activate them. 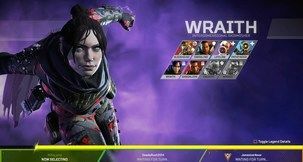 The only good thing about the loot system is that Gearbox aren’t charging players with real world money, instead players must acquire the in-game currency. That doesn’t make the loot system acceptable, but it’s good to know Gearbox aren’t making any money from it. Considering how good Battleborn’s competitive modes can be when played properly, it seems stupid for Gearbox to ruin it with a system that forces players to grind for the best items. MINIMUM: OS: Windows® 7 x64-bit or Later Processor: Intel i5-750 / AMD Phenom IIx4 945 Memory: 6 GB RAM Graphics: AMD HD 6870/ NVIDIA GeForce GTX 460 or better, PhysX support DirectX: Version 11 Network: Broadband Internet connection Storage: 30 GB available space Sound Card: DirectX 11 Compliant Additional Notes: Initial installation requires an internet connection for Steam authentication, and gameplay; software installations require (included with the game) include Steam Client, DirectX 11, NVidia PhysX, .Net Framework 4.5, Visual C++ Redistributable 2010, and Visual C++ Redistributable 2012. The charm of Battleborn’s unusual, cartoon-ish style will demand quite a lot from your machine. I wasn’t impressed by the game’s performance, considering what the game looks like. My computer (i7 6700k, 980TI) maintained 60FPS at the highest settings, but I struggled to reach 144HZ even when changing all the settings to medium or lower. I’ve also read complaints about some of the maps being un-optimised, which is one of the reasons why Overgrowth is played more than Echelon in Incursion. Some players on older machines find the frame-rate drops so frustrating that they’ll only pick Overgrowth because every other map is unreliable. There are three competitive multiplayer modes: Capture, Meltdown and Incursion. 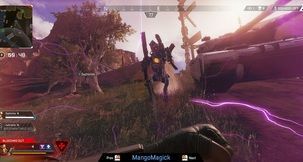 Capture requires teams to capture and protect objectives on the map; players that have experienced the story mode will know exactly what to do in this mode. Meltdown has players guiding groups of minions to minion grinders located in the centre of the map – the team that sacrifices the most minions wins. The final and most popular mode of the three is Incursion, the most MOBA-like mode. Incursion has players fighting against two large sentries. The maps in Incursion lack the three lanes commonly seen in MOBAs. Out of all three of the modes, Incursion is definitely the most enjoyable. When both teams are equally balanced, Incursion feels like the mode that best represents Battleborn. When you are matched with a vocal team, it makes the game so much easier to play because everyone has a role. As with any team-based shooter, if you find yourself paired with a team full of mercenaries, you know the game isn’t going to end well. If you happen to get really lucky and have the best case scenario occur in regards to the teams, Battleborn shows its true potential. Thanks to the Helix levelling system and having twenty-five characters available, there are so many strategies teams can use to take down opponents and sentries. Most of the games of Incursion I’ve played have featured radically different teams, though the bulk of those games also featured little to no strategy and communication. As with any team-based shooter, aiming is important but team-work will always beat a mercenary. You can be the best Marquis (sniper) player around, but if you come across practically any hero paired with a healer, you probably won’t last too long. 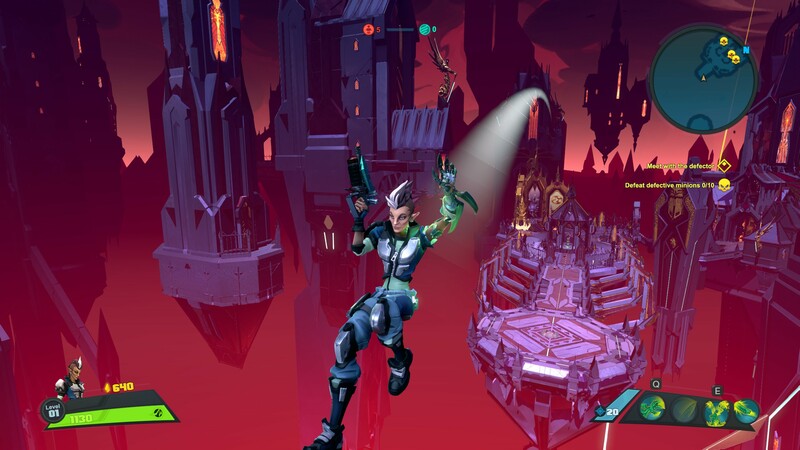 I hope you plan on playing Battleborn with four other friends, because you won’t have a lot of fun if you plan on playing this game on your own. There are small things Gearbox have decided to do with Battleborn that makes me think this game was not built for solo players. As I mentioned earlier, the campaign will not allow solo players to pick which chapter of the story they want to play unless they want to play the game on their own. The three competitive multiplayer modes punish solo players by heavily hindering the team they are on when another player disconnects from the game. In most first-person shooters, this wouldn’t be a problem as another player could simply fill the spot of the player that disconnected. Another solution to this problem is to fill the spot with a bot – at least then you aren’t stuck with one less person on your team. Battleborn doesn’t choose either of these options. Instead you are forced to play the rest of the game with one less person and in a 5v5 game, having a player disconnect is basically the same as the entire team surrendering. 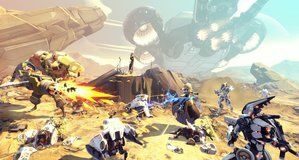 Gearbox have decided to treat every multiplayer mode in Battleborn like a proper competitive match instead of the game being casual and fun; the game expects you to have two pre-made groups ready to fight each other for X amount of time. It’s crazy that something as basic as having another player or bot replace a disconnected team member isn’t standard practice for all games at this point. 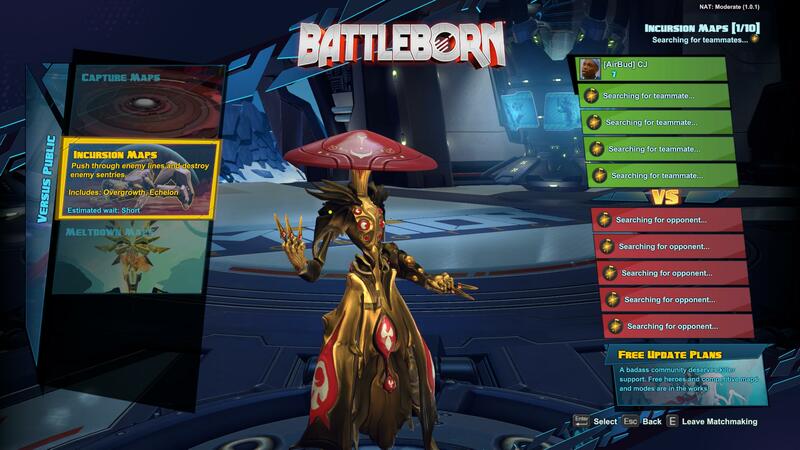 Battleborn ended up stretching itself too thin by trying to include too many modes. 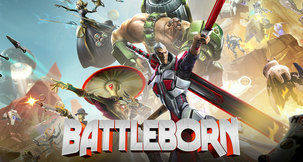 If Gearbox had focused on the competitive aspect of the game only, I’m sure Battleborn would’ve ended up being much better. The campaign adds nothing of value to the game but the multiplayer modes are worth playing if you can get a team together. It’s a shame solo players have been completely ignored by Gearbox, otherwise Battleborn may have been worth recommending to people. Experiencing the game properly, with a proper team in Incursion. We may not have won the game, but at least it was fun.